Donald [Don] Bongani Mkhwanazi was born on April 11 1953 and grew up in Chesterville, Durban. He attended University of Zululand from 1971 until 1973 where he obtained a Bachelor of Administration. He also completed a post-graduate diploma in marketing. Mkhwanazi was a founding member of the Black Man- agement Forum (BMF) and has long been considered the father of broad based black economic empowerment. Over the years, Mkhwanazi has served as a non-executive member of various listed (Illovo Sugar, Mercedes Information Technology, UNIDATA, Anglo Alpha, amongst others) and non-listed companies. He was also a Director of the Industrial Development Corporation (IDC) and Transnet, as well as Chairman of the Central Energy Fund, Strategic Fuel Fund, SOEKOR and MOSSGAS. He was currently serving as the Chairman of Southern African Shipyards, the largest shipbuilder in southern Africa and earlier last year leading consulting engineering firm, GIBB appointed Mkhwanazi as Chairman of the GIBB Holdings Board. Mkhwanazi received an Honorary Doctor of Technology degree in Management Sciences from the Durban Uni- versity of Technology (DUT) for his outstanding contri- bution to the promotion of Black Economic Empowerment in South Africa, his prominent role in local and international entrepreneurship as well as his significant commitment to youth and social development. preneurship for South Africa's economic growth strategy. He believed that entrepreneurship is a necessary risk that our people must be prepared to take, because it creates jobs and therefore reduces the poverty which breeds crime. In his acceptance speech at the DUT Graduation Ceremony. Mkhwanazi said, "For South Africa to realise her full potential an economic revolution must take place. Economic revolution means fundamental change in economic power relations. It means the redefinition of economic power relations between the haves and the have-nots. It means your race, religion, status, where you were born must not determine your ultimate station in life. It means equal and equitable chance of success in any endeavour of your choice in life. Economic function, nor success must not correspond to trace. It means fundamental deracialisation of the economy. Simply put it does not mean rearranging of chairs in the Titanic ship, but rebuilding of the ship (SA Economy). 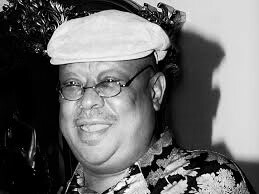 Mkhwanazi, was an eThekwini Municipality's Living Legends Award recipient in 2011, in the business category. The annual event is hosted by the City to honour individuals who excel in their respective fields. The Award was presented "for a selfless, unparalleled contribution to society in general and business in particular." In the words of Mkhwanazi, "Each one of us has a critical role to play in advancing the cause of economic revolution. Each one of us has a crucial role in creating a better future for all. The future belongs to those who shape it. The future belongs to those who define it. Our future is in our hands."